Spread some Easter cheer with our Four Piece Deluxe Easter Gift Box! 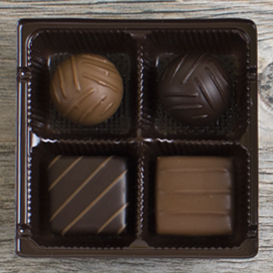 Each box contains four of our most popular flavors - a Classic Milk Chocolate Truffle, Classic Dark Chocolate Truffle, Dark Chocolate Covered Caramel, and Hazelnut Gianduia. 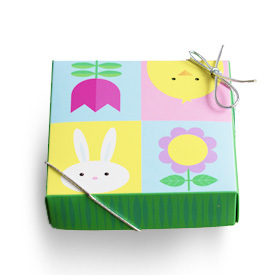 Our festive Easter Toppers add a colorful finishing touch to each box.